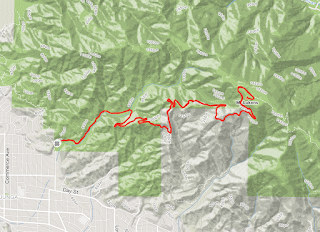 This is an out-and-back run: 11.2 mi and 2900 ft of gain. There is no water or bathroom at the trailhead. Park on Haines Canyon Ave (Google Maps). The San Gabriels are higher than the Santa Monicas. They offer cooler temperatures and a taste of altitude training. 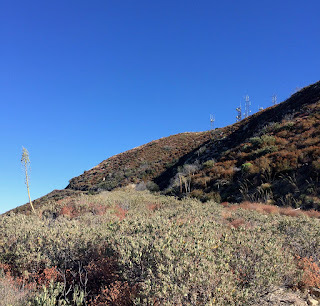 Mt Lukens is more accessible than most peaks in the San Gabriels thanks to its location on the extreme SW edge of the range. 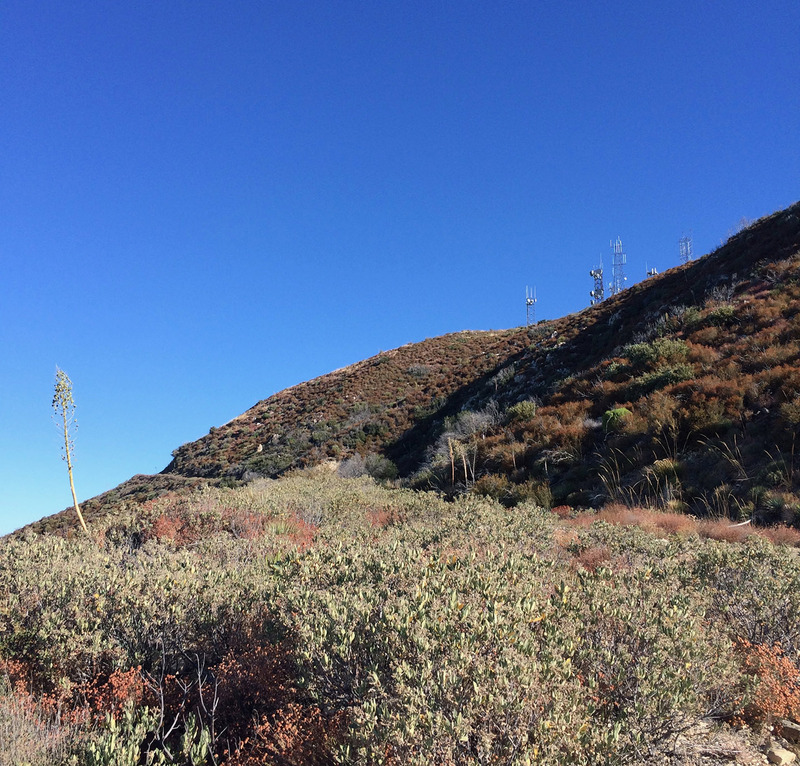 The run follows a fire road which maintains a steady 10% grade all the way to the summit and its radio towers. 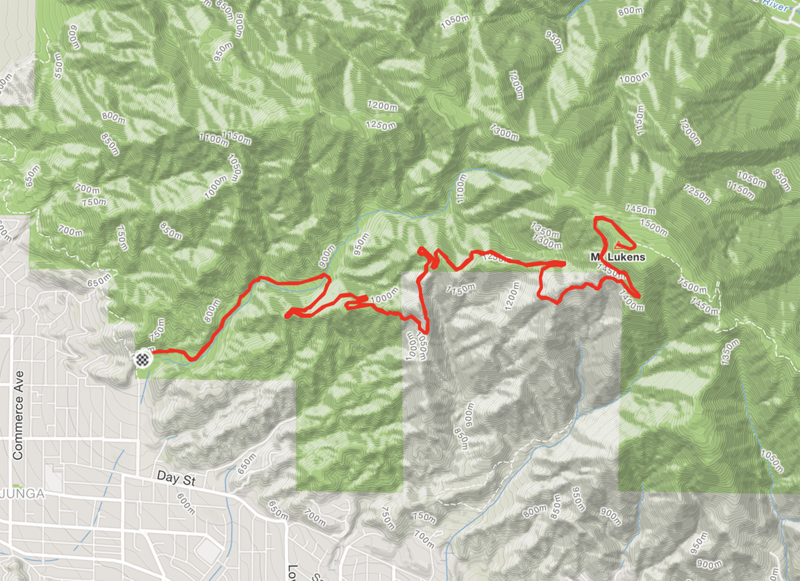 The only update we have to 50 Trail Runs in Southern Californa is the observation that the fire road, now closed to 4-wheeled vehicles, has become overgrown and feels like single track. I run this route year round, although I get an early start in the summer and avoid attempts on the hottest days. In the winter I've encountered snow on the last half mile where the road curls around to the north side of the peak. This is a great run. I'm surprised there isn't more activity on the Strava segment leaderboard.